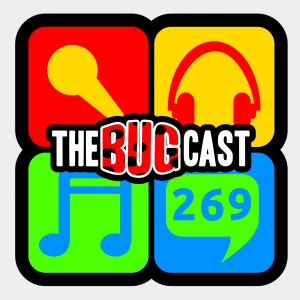 This week on The Bugcast: We ask whether we can trust people in a position of authority, and we play 8 cracking tracks of independent and Creative Commons music from Phantom Lullaby, Hillary Reynolds Band, 1984, Sweet Play, Straight Curve, George Woods, On Returning and War Poets. This week: illnesses, end of year reports, and 8 fantastic pieces of music from Jordan Reyne, Uniform Motion, Alloise, George Woods, Emily Capell, Hemmingbirds, Olga Zhilkova and Kartmaggy. On this week’s show, we chat live with Chris from Insomnia Radio Canada, and play 8 great pieces of (non-Canadian!) music Paradile, Kyle Cox, George Woods, Mate, Lois, Law, Jen Foster and Hot Fiction.